My name is Matt Winick from Ann Arbor, Michigan with a strong interest in learning history with social justice. In these subjects, I like to learn the need to make Civil Rights stronger to reduce discrimination, have criminal justice reform to help protect people’s rights while reduce crime, and many others. 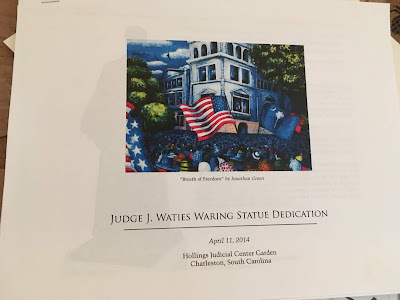 U.S. District Judge Gergel, the main reason I’m writing you a letter is to explain how I find your work as U.S. District Judge of the U.S. District Court for the District of South Carolina to be very inspiring to me. In December 2009, I liked on how you accepted President Obama to nominate you to serve on the U.S. District Court for the District of South Carolina to help him improve our country. In August 2010, I was very proud on how the U.S. Senate voted to confirm you to serve as U.S. District Judge. 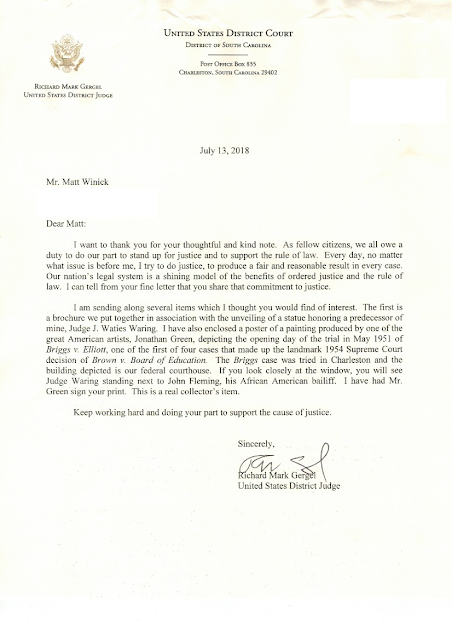 In your current role as U.S. District Judge of the U.S. District Court for the District of South Carolina, I truly appreciate on how you are a strong supporter of Civil Rights by advocating for people with disabilities’ rights, pushing for strict sentencing for people who commit hate-crime to help protect minorities including people who are different, and expressing the need to reduce racial profiling to help protect minorities including immigrants from being oppressed. Supporting drug treatment programs to help drug-users get the care they need to reduce drug-abuse, working to expand court resources to help victims of crime or victims of domestic violence get help on dealing with their trauma, and advocating for the need for funds to help improve DNA testing including forensic science to help reduce sending an innocent person to jail while solve evidence efficiently is common sense for criminal justice reform. During the Dylan Roof Trial, I really liked on how you expressed the importance of the need to combat against hate-crime and working hard to give the witnesses of the Charleston church incident including families who lost their love-ones to share their stories on how they struggle to deal with it. 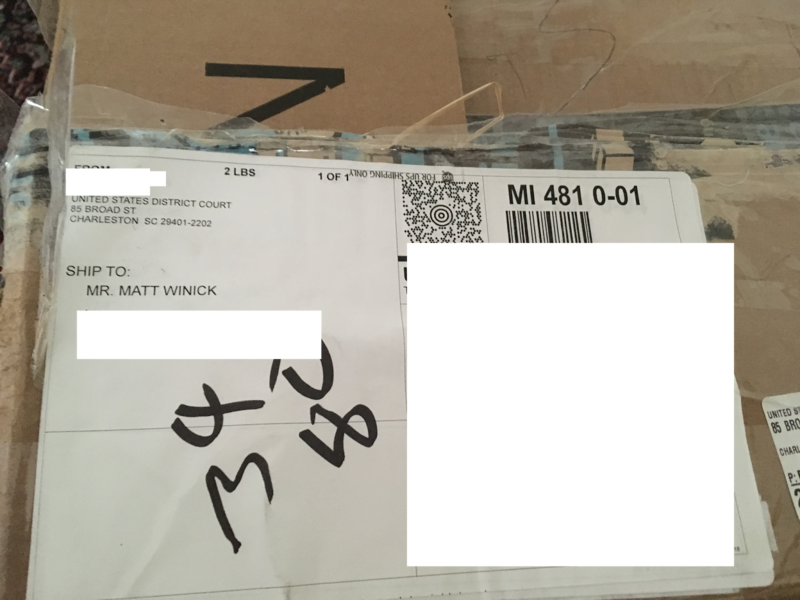 U.S. District Judge Gergel, I have autism with a learning disability. Having a disability is hard for me because I have trouble comprehending on learning different advance subjects, sometimes I struggle to communicate my thoughts, and get teased. Your commitment to be a strong supporter of Civil Rights including people with disabilities’ rights really inspires me to work hard on my disability. I enjoyed reading “History-minded, “Brilliant” Jude Gergel handling Roof trial”, an article on The State because I enjoyed learning about your life before you became a federal judge, like seeing that you are a very passionate on Civil Rights including history, and how you handle the Dylan Roof Trial. 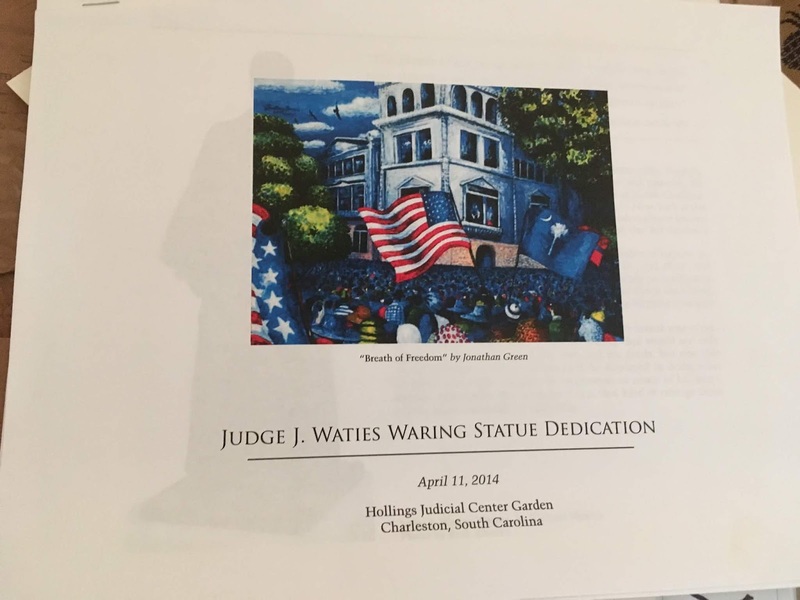 Your current role as U.S. District Judge of the U.S. District Court for the District of South Carolina gives me motivation to continue to learn history with social justice. History is one of my favorite subjects to learn because it helps gives me motivation when I have struggles, teaches me how society works, and to learn not to repeat the same mistakes. My future goal is to someday work in these areas to help emphasize the need to make Civil Rights stronger to reduce discrimination, have criminal justice reform to help protect people’s rights while reduce crime, and many others. I strongly believe that you are making a great difference in the judicial system. I’m very proud on how you are working hard to support Civil Rights and push for criminal justice reform. You have inspired me to work hard on my disability, learn more about your work, and be motivated to continue to learn history with social justice. Thanks for taking the time to read my letter, working hard to make a great difference, and inspiring me. I wish you the best to continue to make a great impact on society.